1924 KGV Admiral ½d, imperforate at left to vertical interpanneau margin. 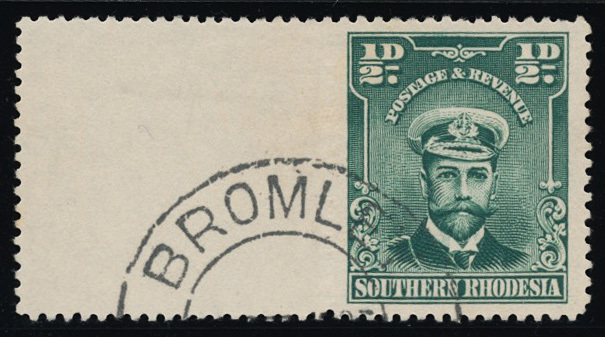 Very fine used cancelled part ‘BROMLEY’ datestamp. Scarce. SG 1 var.